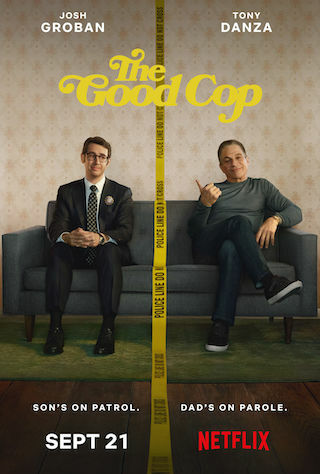 The Good Cop is a 60 minute scripted comedy television series, which kicked off on September 21, 2018, on Netflix and is broadcast every Friday at . The show is currently in its 1st season. Netflix opted not to pick up The Good Cop for Season 2. The Good Cop officially canceled on Netflix. Sign up to track down your favorite TV shows. In The Good Cop, Tony Sr., a disgraced, former NYPD officer who never followed the rules. He lives with his son, Tony Jr., an earnest, obsessively honest NYPD detective who makes a point of always following the rules. This "odd couple" become unofficial partners as Tony Sr. offers his overly-cautious son blunt, street-wise advice on everything from handling suspects to handling women.